If you are a businessman just like me, you know very well that the resources you invest in the growth and improvement of your business have a relentless impact on the satisfaction of your customers – and therefore on the business itself. This means that it is fundamental to make the right decisions and they also have to be appropriate for your specific business. If you own a grocery store, you will have particular demands for your shop. If you manage a jewelry store, yours will be completely different. Also and above all in terms of lighting. That’s why I would like to dedicate today’s article to a setting I very much love and which presents some unique features. I am talking about the wellness centre. 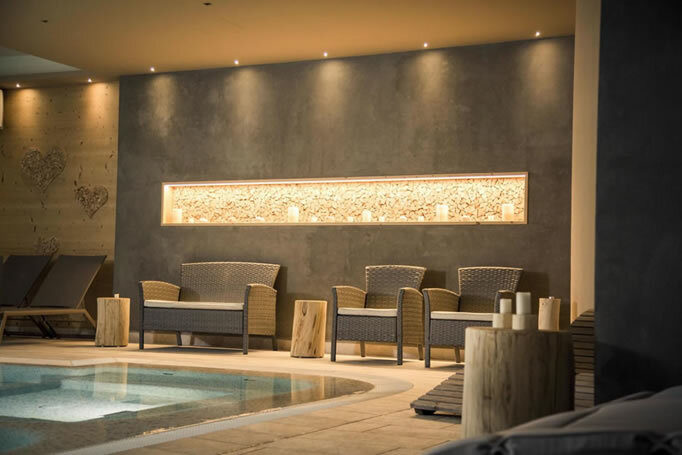 If you own a wellness centre as well and you wish to find out how to use light to create a special and comfortable atmosphere for your guests, then proceed to read this article. I will reveal some of the most important techniques that will help you avoid mistakes which could be fatal for your business. Don’t assume that a very bright environment will necessarily be positive for your customers. In this specific case, it is essential to focus more on quality rather than quantity. The whole environment needs to be cozy, comfortable and has to help the guests feel at ease even in their swimwear. Clearly the people hanging around a wellness centre don’t need a lighting system that would allow them to see at a 100 metres distance. A few LUX would be enough for the people to both relax and move about the spa in complete safety. More specifically, light between the 10 to 20 lx range will meet all the needs of the customers – and if you’re wondering what these numbers actually mean, don’t worry just yet. Below you will find a very easy scheme that I have prepared for you and which will help you understand how to plan the lighting design for the different areas in your wellness centre. 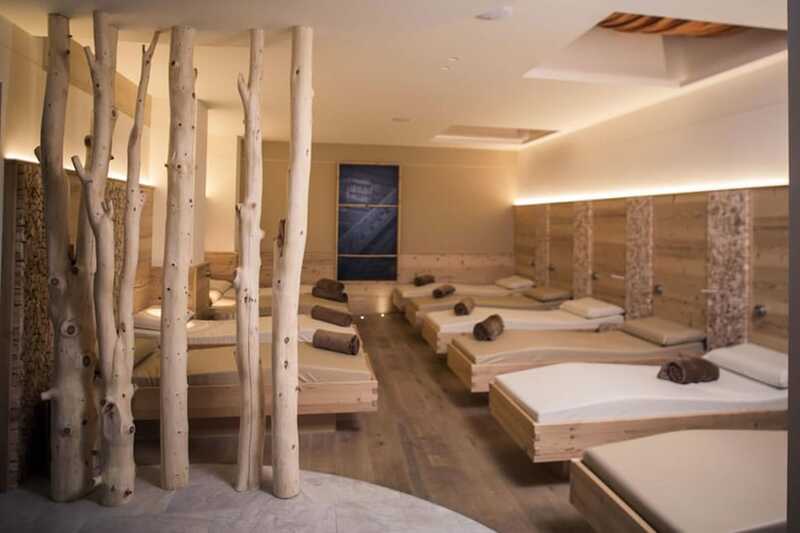 Inside the relaxation areas the light needs to be merely soft and – if possible – indirect. Without any kind of glare and more importantly with warm colour temperature, between a minimum of 2200 K and a maximum of 3000 K.
Thanks to the new LED technologies it is now possible to reduce and control both light quantity and colour as desired. Since the lighting fixtures need to have a greater IP protection rate inside the shower areas, if it’s not possible to achieve indirect light, then you should at least try to direct the light sources towards the walls. This way you will be able to create a spectacular ambience, without undermining the visual comfort. 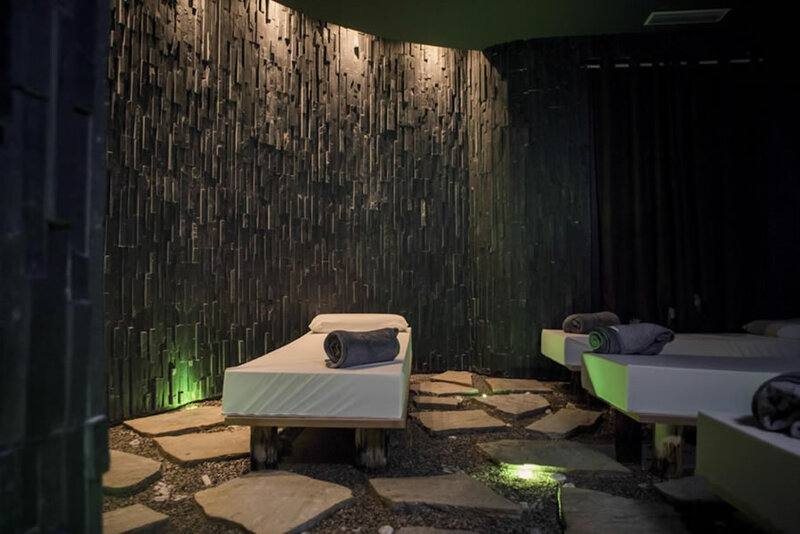 Here, you can even use RGB LED lights – red, green and blue – for chromotherapy if you wish, but this is particularly required inside saunas and steam rooms. The lighting in the swimming pools will be underwater. Obviously always with coloured LED lights, RGB or ideally RGB+W adding the possibility of spreading white light when needed. 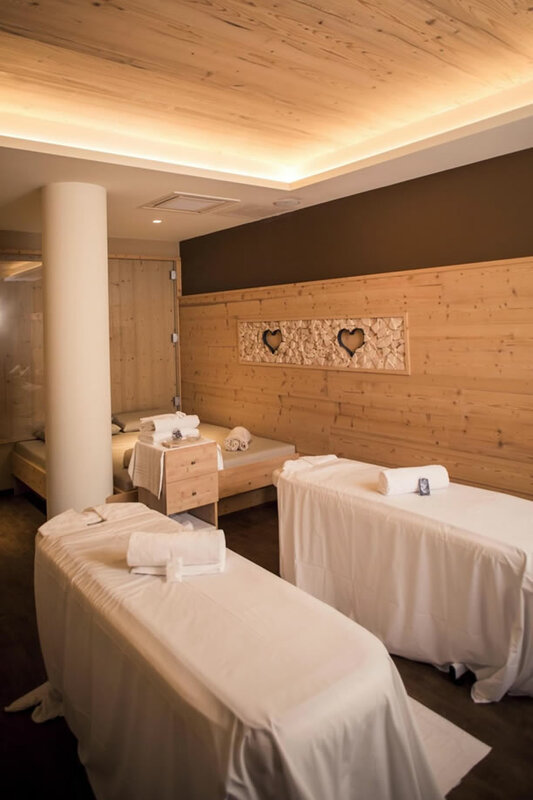 When I’m on vacation in some hotel with a spa and I want to treat myself to a massage, I often notice that at some point the therapist turns all the lights off. Except for a small table lamp that should create some atmosphere. And who knows how many massage rooms are designed this way. Lit up like Times Square and then everything is turned off when the massage session begins. These spaces need to be immersed in indirect or filtered LED lighting, soft, low-intensity and first of all very warm light because it is important that the customer feels relaxed and comfortable. You can customize the light intensity through a small device – the dimmer. This way the therapists will be able to choose the most adequate atmosphere. During the massage, they can keep a dim light. When they need to clean up the room, they simply have to increase the light intensity. Along the corridors, the light should help the guests find their way, still without blinding them. How to accomplish both at the same time? Easy, by installing step lights on the walls with downward light projection. Alternatively, with decorative lights included in the interior design or staff beads that create a wall washing effect, always very soft and indirect. The directions that I have given you in this article come from my own experience, which has brought me through time to collaborate with a dozen of wellness centres in Italy and Europe. At this point, however, I need to be honest with you. You can’t consider lighting just one of the many “technical” components of your business or a hassle you take into account only when the electricity bill needs to be paid. You need to see the LIGHT as the conductor of your wellness centre. In other words, it’s the LIGHT that directs your spaces and it’s the LIGHT that makes the strongest impression on your guests. Believe me, especially in this business area, the experience of the guests is particularly shaped by the light atmosphere surrounding them. This is the reason why the lighting design needs to fit perfectly into your entire facility. You can’t delegate this strategic factor to the classic “light shops” or to your “trusted electrician”. This won’t work. You are risking making significant investments and then finding yourself with a lighting system that doesn’t bring any justice to your business, and even worse, jeopardizes your profit in the long term. ⇒click here and fill in the Contacts form. You will be contacted by our team, which will help you find your way through the choice of the lighting fixtures and design a lighting system that fulfills your needs and those of your customers completely.